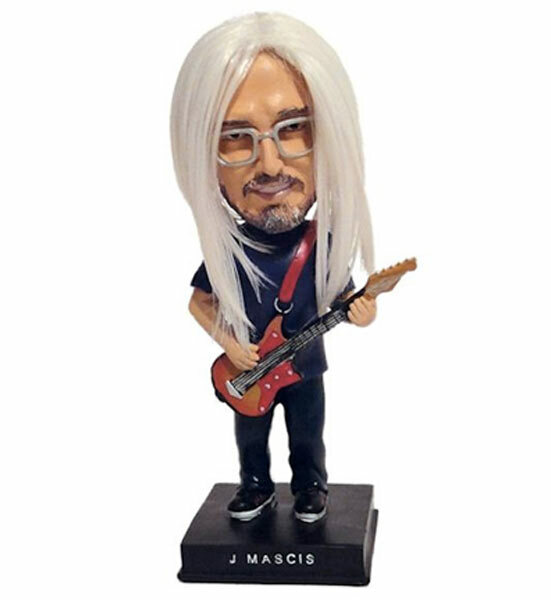 J Mascis, founder of Dinosaur Jr. and creator of some of the modern rock era’s most signature chops, has joined the ranks of the Throbblehead elite. 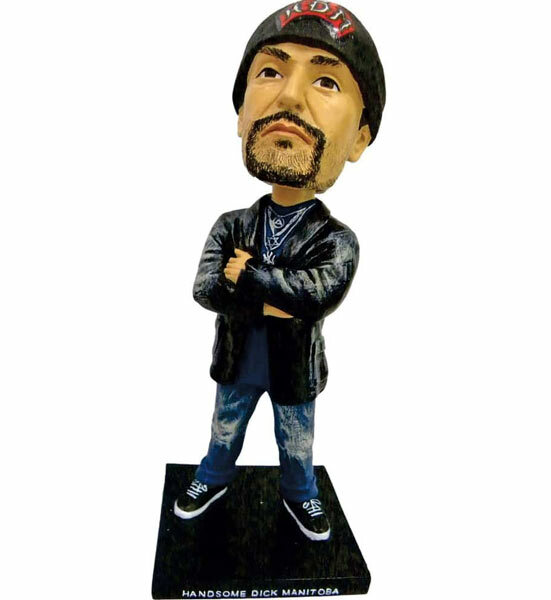 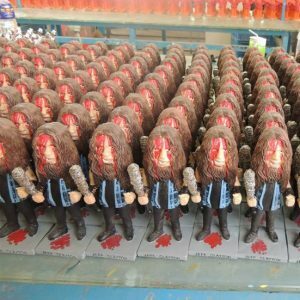 This figure is limited to 1000 numbered units, stands at 7 inches tall, and is made of a lightweight polyresin. 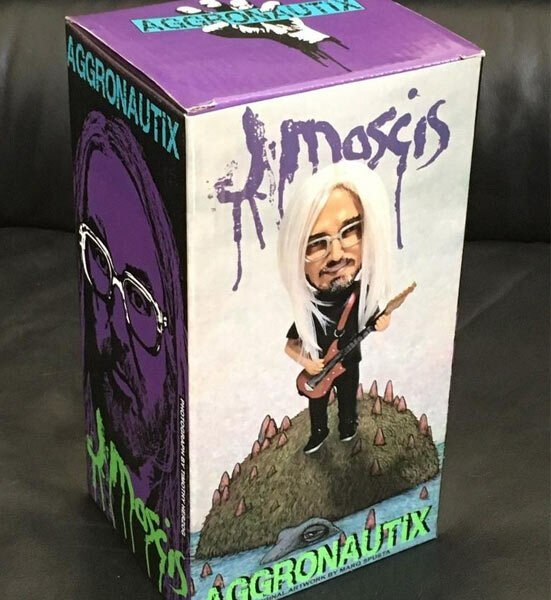 J is accurately sculpted right down to the big ole glasses, rockin’ riff grip, and signature silver mane that features REAL DOLL HAIR — a first for Aggronautix! 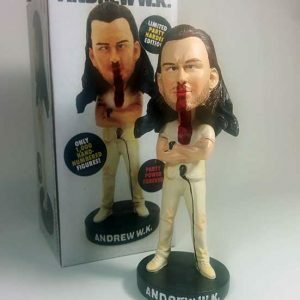 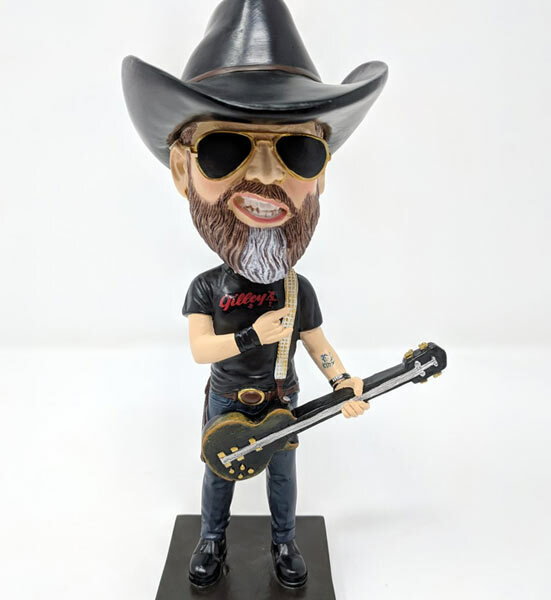 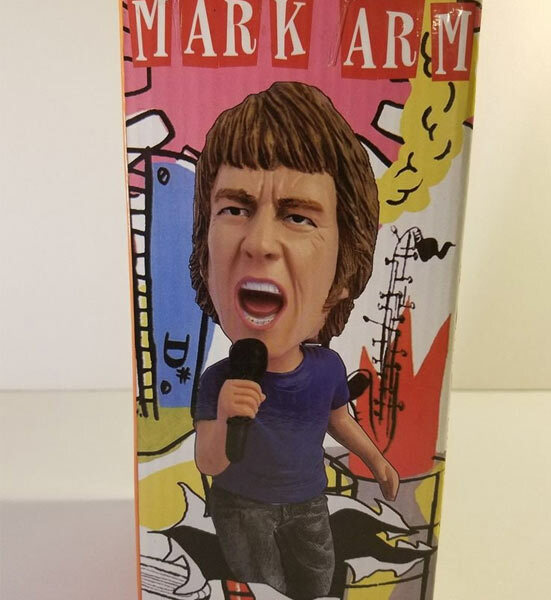 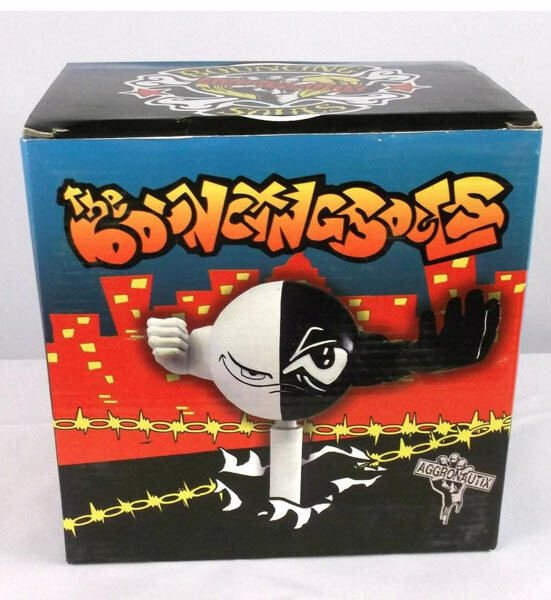 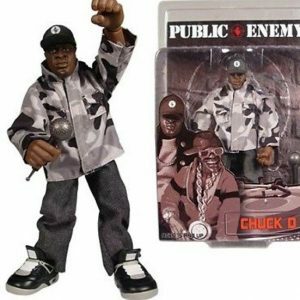 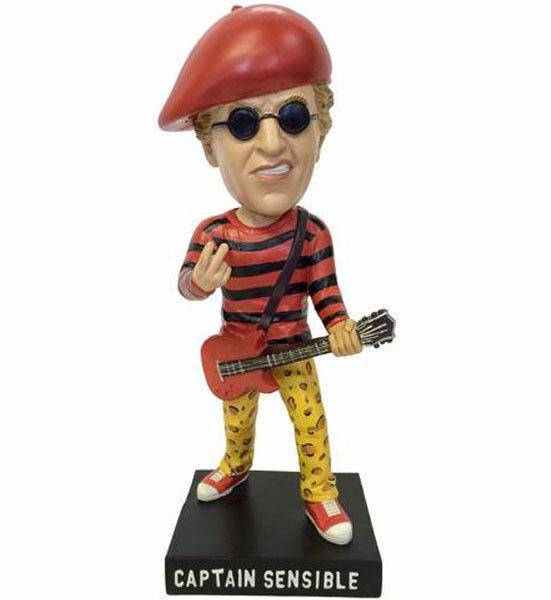 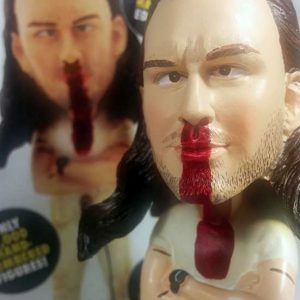 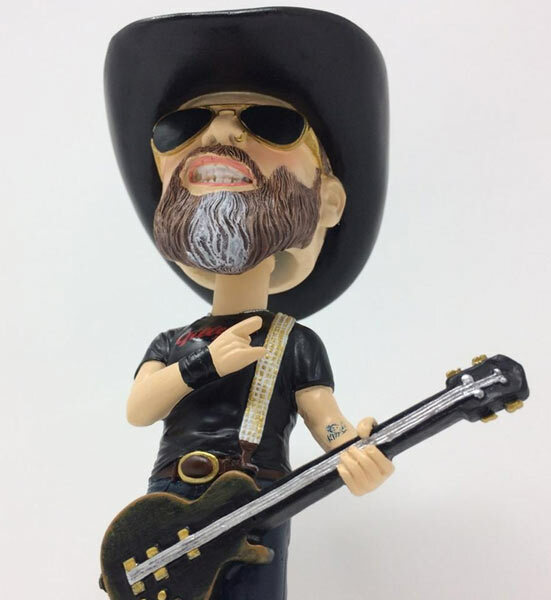 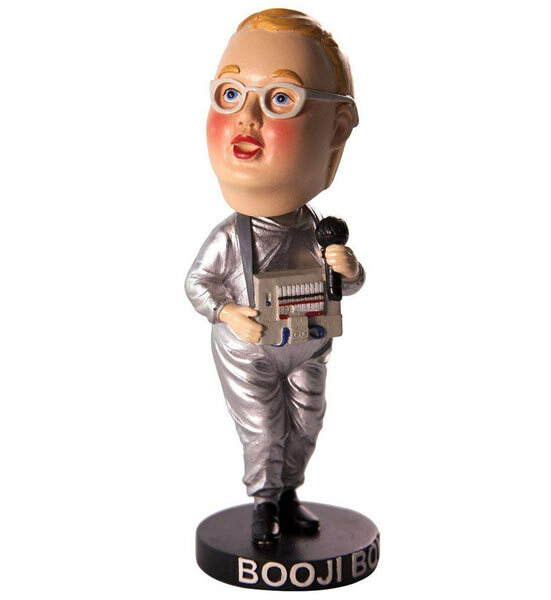 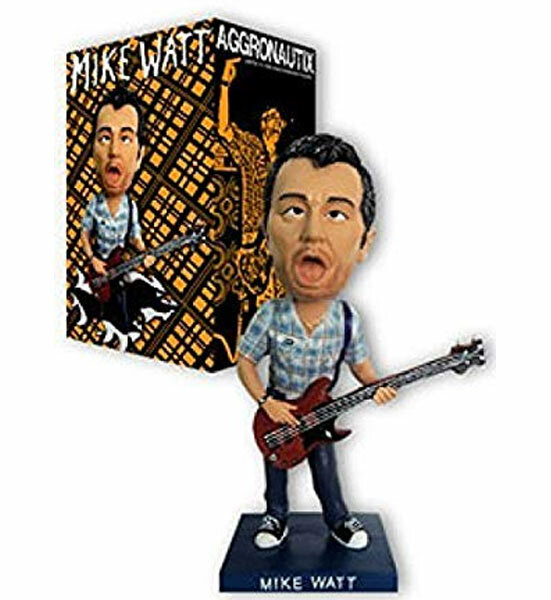 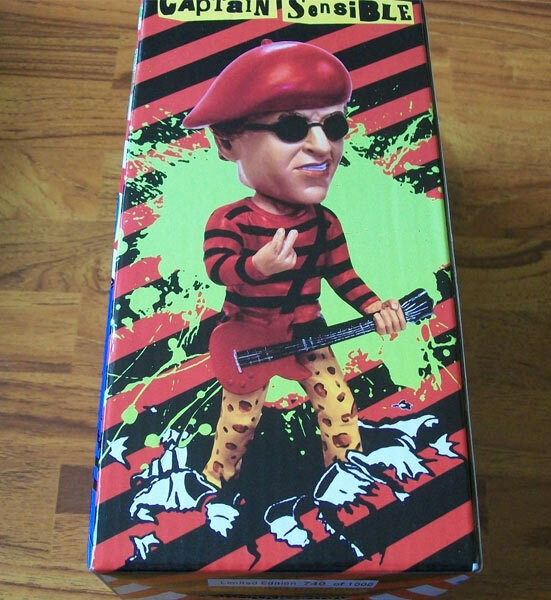 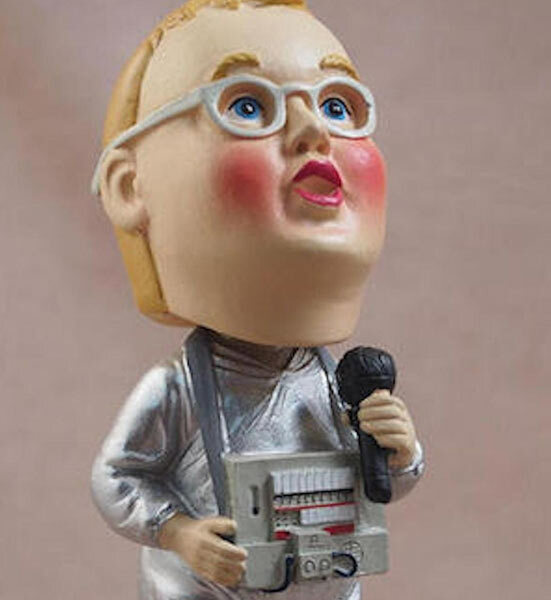 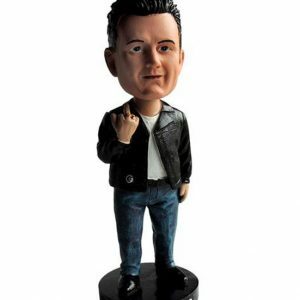 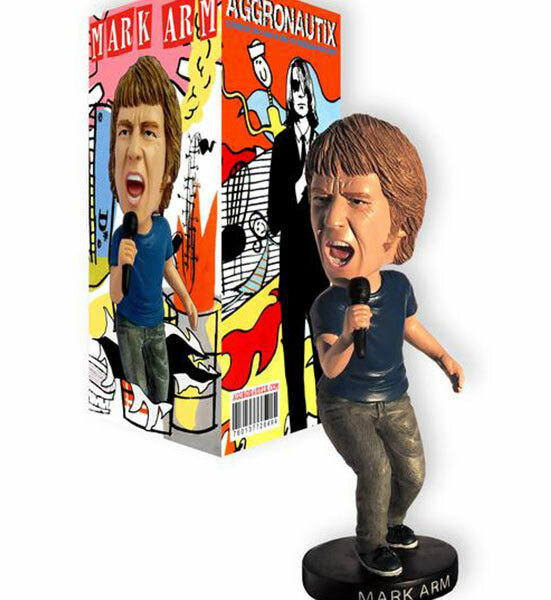 Pick up this highly influential (and potentially face melting) figure today! 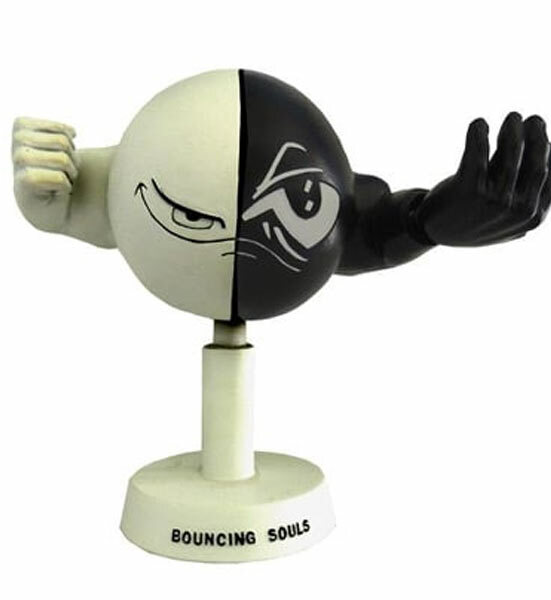 This figure capturing Jeff in Destructo mode is limited to 500 numbered units, stands at 7 inches tall, and is made of polyresin. 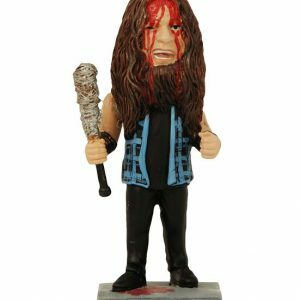 While it's labeled a Throbblehead, it's actually Jeff's arm that does all the movement, punishing everything in sight with his signature barbed-wire bat. 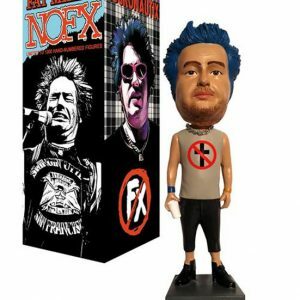 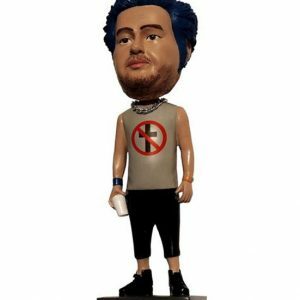 At long last and after hundreds of requests from AGGRO faithfuls, FAT MIKE, the leader of the legendary punk band NOFX, is now a Throbblehead!